There have been several programs looking at exoneration of people previously convicted of crimes. This includes The Innocence Project, currently boasting 325 DNA exonerations, and a project of the University of Michigan Law School that works on cases in which DNA is unavailable. The latter project had exonerated 1,553 individuals when we recorded this podcast. As it turns out, many of these people were convicted based on forensic science that was later proved to not be scientifically valid. So, what particular forensic disciplines are actually valid in the criminal justice system? In this episode of Digital Detectives, Sharon Nelson and John Simek interview Judge David Waxse about the 2009 report by the National Academy of Sciences (NAS), the relationship between bad science and wrongful convictions, and how to improve the use of forensic science in the criminal justice system. The NAS report, Strengthening Forensic Science in the United States: A Path Forward, found that with the exception of DNA, no forms of forensic science comply with scientific methodology. Waxse discusses the jury’s confidence in unproven science experts and witness testimony and the resulting wrongful convictions. He explains why people are just now becoming concerned with the 2009 report and discusses why The Willingham Case is relevant. Waxse plans to hold a symposium in April 2015 at Northwestern Law School in Chicago to consider with experts how to educate judges and lawyers in the criminal justice system about this issue. Judge David Waxse is a United States magistrate judge for the United States District Court in Kansas City, Kansas. He received his BA Degree from the University of Kansas and his JD from the Columbia University School of Law. He is a past president of the Kansas Bar Association and current chair of the American Bar Association Judicial Division. John W. Simek: And I’m John Simek, vice president of Sensei Enterprises. Today on Digital Detectives, our topic is what forensic sciences should be admissible. Only DNA? We’re delighted to welcome Judge David Waxse who is the United States magistrate judge for the United States District Court in Kansas City, Kansas. Judge Waxse received his BA Degree from the University of Kansas in 1967 and his JD from the Columbia University School of Law in 1970. He is a past president of the Kansas Bar Association. He is also a member of the American Bar Association Judicial Division Judge Waxse is past chair of the National Conference of Federal Trial Judges of the Division of the ABA. He is currently the chair of the Judicial Division of the ABA. He’s also an observer to the Sedona Conference Working Groups on Electronic Document Retention and Production, which is Working Group 1. In addition, prior to becoming a judge, he was a member of the National Boards of the American Civil Liberties Union, the Lawyers Committee for Civil Rights Under Law, and the American Judicature Society.Welcome, Judge Waxse. Judge David Waxse: Thank you, I’m happy to be able to once again talk about our program. Sharon D. Nelson: Well Judge Waxse, the title of this podcast derives from a delightful conversation we had with you at the ABA Midyear Meeting in Houston, and you were pretty charged up when you talked to us about a National Academy of Science report. Can you tell us the exact name of that report and its fundamental conclusions? Judge David Waxse: The name is Strengthening Forensic Science in the United States: A Path Forward. And this was requested by Congress I think back in 2007 or 2008. And the commission was formed in response to that legislation by the National Academy of Science. The chair of the commision was Judge Harry Edwards of the P.C. Circuit Court of Appeals, and the commission consisted of lots of experts in lots of fields of both law and forensic science. They met for almost two years to come up with a report in 2009 and the report, in simplistic terms, takes the position and analyzes all the various forms of forensic science that other than DNA, most of them used in the current criminal justice system are not valid science that would normally be admissible in a courtroom. And the problem is there really is two parts to it. And that is one, the extent to which particular forensic discipline is founded on a reliable scientific methodology. Which then gives it the capacity to accurately analyze and report findings. And if you are familiar with the Daubert standard set up by the Supreme Court, that’s an essential part of the Daubert standard. You can’t have valid science if you don’t have science based on a scientific methodology. And then the second part of this is whether the practitioner and the particular forensic discipline could be tainted by error or biased or the absence of sound operational procedures. And the issue really boils down to how do we get courts and the lawyers who appear in court to comply with these standards that are clearly established in civil litigation, but for some reason have not be clearly established in lots of courts when they’re handling criminal cases. And the report itself came up with the simplistic approach that other than DNA, all of the forensic sciences currently being used could not meet the standard it’s supposed to. And what’s interesting is just within the past week or so, there’s a report that scientists in Israel are now raising questions about whether DNA can be fraudulently created and cause problems. So I think we’re going to have to be careful about all forensic sciences as we proceed forward. John W. Simek: So Judge Waxse, this report was back in 2009 but yet it seems like there’s a lot of steam right now and a lot of hubbub over this 2009 report. Why is that? Judge David Waxse: Well I think that there’s several reasons. One that I think is high on my list is that there are two major programs in the United States right now looking at the exoneration of people who have been previously convicted of crimes. One of them is the Innocence Project that Barry Scheck runs through Cardozo Law School and the other is an exoneration program run in combination by University of Michigan Law School and Northwestern Law School. Those two programs made a large number of exoneration. The Scheck one, the Innocence Project, relies primarily on DNA evidence to do the exoneration and they’re not up to 350 exonerations using that method. The two law schools are looking at exonerations where DNA is not available to do the exonerations. And as I understand they’re now up to over 1,200 exonerations. And what has happened after all these exonerations, there’s been lots of looking at if these people are not guilty, how did they get wrongfully convicted. And there’s a book out now called Convicting the Innocent. It’s written by Brandon Garrett who was part of the Innocence Project and he took the first 250 cases that the Innocence Project had exonerated and did an in-depth analysis of how’d they get convicted if they weren’t guilty. And the conclusion was that the largest cause of wrongful convictions out of that group was bad witness testimony. And the science comes into that because there’s plenty of research showing that humans are pretty bad when it comes to identifying other human beings. There’s issues of memory and issues of vision and the research just shows it’s really more likely wrong than right when you have a human and when you then get humans from different racial groups trying to identify someone in the other racial group, it gets even worse. So what happened is science is becoming known to the Criminal Defense Bar, and they have on several occasions tried to put on expert testimony to the jury about why you should be careful in accepting witness testimony. The problem is the majority of judges confronted with this evidence have not allowed it in. They said that juries can make up their own mind about eyewitness testimony, we don’t need experts. The second largest cause of wrongful convictions is just pure bad science. That’s all these cases with science being used by the prosecution to say this person committed this crime. And that is close to the same number as the bad eye witness where it’s slightly smaller in terms of the numbers. And if you go look at the forensic science report from the National Academy of Science, it gets into each specific subarea of forensic science and explains why it’s problematic. And there’s not only the question of is the science bad. They get into discussions in the report about the problem with witnesses who not only aren’t qualified but they give inappropriate testimony. One example is that case after case where the expert tells the jury, I’m certain this is the result from some kind of scientific study. And the people that deal with the science will tell you time and time again, there’s no way they have certainty; it’s still a question. It may help you make a decision but none of it is certain. So we have not only the question of the science but the question of the witness. And when you then look at what’s gone on with these exonerations, I think the worst situation that’s discussed in the report is a case out of Texas, called the Willingham case – that was the name of the defendant. It got a lot of attention because this guy was sentenced to death and actually executed based on so-called scientific evidence about an arson. The charge was that he burned down his house to kill his children. The case started several years ago in Texas and he didn’t have the very best defense counsel because he got convicted and sentenced to death based on the testimony of a so-called arson expert which is a local fire department person who said they had figured out how to analyze fires and what started them. The guy gets convicted, sentenced to death, loses on appeal, and the Innocence Project got involved when all that was left was a clemency petition to the governor. So the Innocence Project put together a very powerful scientific group to look at the same evidence that the so-called arson expert had looked at. And they did an in-depth analysis and came to the conclusion that this was an accidental fire, not an intentionally set fire and they gave an explanation of how it happened. The governor of Texas said our juries don’t make this kind of mistake, so we’re going to deny the clemency petition and they executed the guy. So the Innocence Project thought well we now have a chance to show that a person was not only wrongfully convicted but wrongfully executed. So they put together an even more powerful group of scientists to try and make that report even stronger. Governor Perry heard they were doing that, and I’ll give him credit. He decided that the state would put together their own state of real experts to show that they were right. So they got a good group together but the problem was the word got back to him that his group was going to say this was an accidental fire. So they disbanded the group and at some point issued a statement of well, we don’t have to rely entirely on the science because we had testimony from someone that was in jail with the defendant who said the defendant had confessed. What is very intersting, this all happened several years ago but within the last few months, that witness finally finished his sentence and upon release, recanted what he had testified to in the trial. And for the first time testified or made a statement to the effect that the prosecutors had come to him and said if you will testify that this defendant confessed to you, we’ll cut your sentence way down and you don’t have to face nearly as many years in prison. So he agreed and did it. And now that he’s out and saying what happened, and what makes it even more upsetting is that the Brady rule and the criminal justice system says that a prosecutor has to disclose to the defendant any evidence that might indicate their innocence. And all this information about this deal with this witness was never slowed. So there’s not only the bad science, there’s a Brady violation. And of course, this is now, what the Innocence Project classifies as the first execution they can really show was an innocent person. John W. Simek: Wow. Judge Waxse, we understood that you planned to hold a symposium with a law school to consider what steps should be taken to improve the use of forensic science in the criminal justice system. Are there plans in place for that symposium yet? Judge David Waxse: Yes, there are. It’s going to be held on April 10th of this year at Northwestern Law School in Chicago. And what we’re going to do there is get together some of the experts in the forensic field to give their opinions about what progress has been made since the National Academy of Science report and what things we should be doing now. And one of the things that we attentively talked about was our forensic science committee that we created within the judicial division is that our focus is probably going to be on education of judges, primarily, and lawyers secondary. And that’s because the recommendation of the National Academy of Science report that I think there are 13 of them in the report and many of them are technical things that need to be done – both by the National Institute of Standards and by Congress to set up better-funded training programs and all those kind of things. But we think the ABA’s role can best be in educating judges because one of the sad things is we don’t think the rules need to be changed. If you look at it from the federal system, the current federal rule of evidence 702 is a productification of the Daubert standards that the Supreme Court came up with years ago. And if judges simply would comply with those standards, most of this forensic evidence that’s now being used would not get used because it couldn’t meet those standards. It’s really sad when you start looking at all these cases with various standards and they just don’t meet them. Sharon D. Nelson: I think you were also planning to present a program on this subject at the ABA annual meeting in Chicago. Can you tell us briefly about that? Judge David Waxse: Our current plans are to have this symposium and then our committees made up of a lot of national experts in the field. And with the committee effort and the symposium result, we’re going to come up with a proposal on how the ABA can help with this. And it’s kind of interesting because the ABA tasked a resolution about five years ago supporting the conclusions of the National Academy of Science’s report on this. But other than supporting it, we didn’t really do much as an organization to try and carry them out. So our plan now is to say that we looked at the problem and it appears to have not substantially improved and therefore we need to create a program of educating judges much better on this subject. So one of the things that we did at our last committee meeting is we brought in experts on judicial education to help us plan this and we had the representative from the Federal Judicial Center which is the arm of the Federal Judicial Conference that educates federal judges. We also had the president of the National Judicial College which educates state court judges and we also had the head of the Judicial Educator Association because most and most all state supreme courts or highest courts have programs to educate the judges in their system. And we need to use that as a vehicle to get this education spread out across the country. And the hope is that we can get the ABA’s not only support in terms of agreeing to do this, but come up with some of the funding that’s going to be necessary to really put the program in place. John W. Simek: Well, before we move onto the next segment, let’s take a quick commercial break. 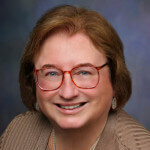 Sharon D. Nelson: Welcome back to the Digital Detectives on the Legal Talk Network. Today our topic is, what forensic sciences should be admissible, only DNA? Our guest is Judge David Waxse, who is a United States magistrate judge for the United States District Court in Kansas City, Kansas. I know that you’ve heard from a number of experts, Judge Waxse, at the ABA Midyear Meeting. Did you learn anything that you thought was particularly significant from them? Sharon D. Nelson: Oh my goodness. Judge David Waxse: So after hearing this testimony, I concluded that I didn’t have enough to make a basis. So I said, as the law allows, I can appoint the court expert if the counsel doesn’t bring in what’s appropriate. And I said I’m going to continue this hearing until I can appoint an expert from the court to testify on these issues. And one of the things that happened in that hearing is I asked counsel to give me what they thought the law was on who had the burden of proof here and what was the standard. But we couldn’t find any law anywhere in the country on this because it hardly ever happened. While I’m trying to get an expert together, the defense attorney comes in and says, “Judge, we’ve changed our mind, we don’t want the identity hearing because we can’t find any law that says what the standard is or who has the burden. But we know if we go back to Texas, they have proved beyond a reasonable doubt that this is that person, and we don’t think they can do that.” I said fine, you can have that right, so they went back to Texas and the prosecutor down there when confronted with this problem dismissed the case. So at least in that situation the defendant did not get wrongfully put into custody by bad science. Sharon D. Nelson: I’m afraid there’s been too many cases where defendants have been placed in custody by bad science. It’s kind of scary. Let me ask you, judge, a yes or no question. Do you believe the conclusions of the 2009 report are still valid six years later? Judge David Waxse: I’ve seen that relayed questions that is new stuff on DNA, which is not discussed in the report, it was simply looked the question of if DNA could meet the standards for admission of scientific evidence. So everything else, I’ve not seen anything that says that any of our conclusions are wrong. Sharon D. Nelson: I think we tend to agree with you, but we have a burning question that we need to finish up with here. And that is we noticed that there was no reference to digital forensics, which is what we do for a living. So do you think our discipline is tarred and feathered by the same brush? Judge David Waxse: I think that’s a very interesting question because as I’m sure you guys know, there’s an ongoing debate within the e-discovery community on what standards should be met when courts are making determinations about digital forensics. And some of us have taken the position – I haven’t had to deal with an opinion but I’ve written an article on it – where I think the same standard applies to the use of expert testimony on forensic digital issues. And there are others, like my friend Judge Peck, who’s written an opinion that he doesn’t think they have to meet those standards. We’ve had an interesting back-and-forth about this and both he and I were speaking at a Federal Judicial Center program on this topic and we had Professor Capra, who is the reporter on the Federal Rules of Evidence Committee. He was speaking so I asked him the question and said what do you think is the answer to this question. And he said, “I’ve gotta slide on that,” and he pulled a slide out of his deck and it was a reference to my article I’d written about why you had to comply with Rule 702. He said, “I think you had it right in your article, that’s all I can find that will support the conclusion that you made that your article just prepped.” So it’s not been decided by any higher court and or trial courts at this time. Sharon D. Nelson: We will wait and see what happens. I know it’s going to be an interesting road that you’re going down and we will watch with fascination. I know that a lot of folks today have learned a lot because I think many people believe that these forensic sciences were all valid and true and they had faith in them. And I think perhaps today after listening to you, they have a lot less faith. So thank you for leading this effort and for joining us today and sharing your expertise. It was just a fascinating, fascinating podcast. Thank you so much. Judge David Waxse: Thank you for giving me a chance to once again explain what I think this problem is. John W. Simek: Well that does it for this edition of Digital Detectives; and remember, you can subscribe to all of the editions of this podcasts at LegalTalkNetwork.com, or in iTunes. if you enjoyed this podcast, please review us on iTunes.